Hitachi is marketing the service as an example of its prowess at handling "Big Data" a foreign buzzword for using powerful servers to crunch through large amounts of information that has recently caught on in Japan. The cheapest price for the service is $50,000, which provides passenger data on ten stations for a year. New data is added to the system monthly. JR East was already facing criticism over a newly installed entrance at a busy station in the eastern part of Tokyo. The gates at the "nonowa" entrance only work with Suica or compatible touch cards, so travelers with traditional tickets or passes must take another route. "No one without an IC Card gets in?" asked the Asahi Shimbun, one of Japan's largest newspapers, in the headline of an article that said many locals consider the entrance to be a form of discrimination. A passenger uses a touch card to enter a train station in Osaka, Japan. 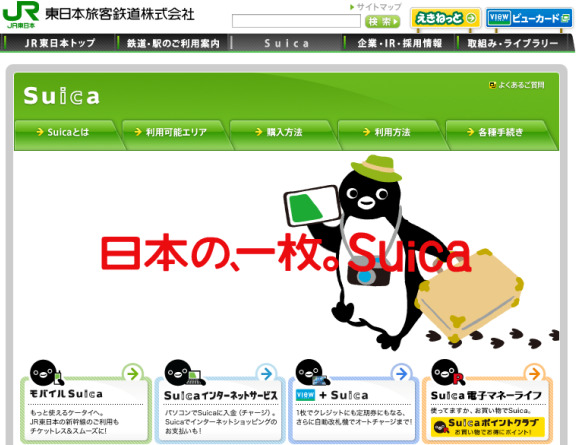 Suica, launched in 2001, uses NFC technology developed by Sony. Initially offered as train passes that had to be periodically recharged, the technology is now built into credit cards, mobile phones, and even USB readers that can be plugged into PCs for home shopping. Payment can now be made in many convenient stores and restaurants, as well as taxi cabs and vending machines.